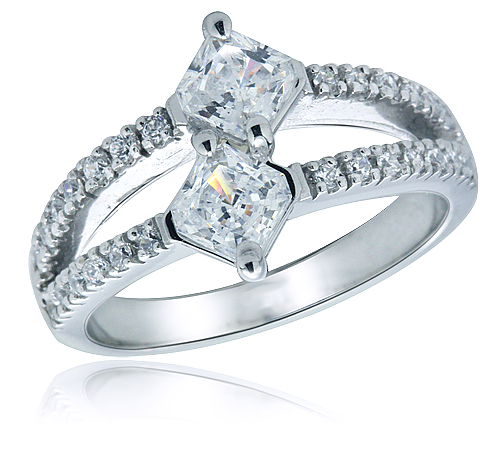 The Alton Asscher Cut Micro Pave Split Shank Ring features two .75 carat 5mm x 5mm asscher cut cubic zirconia set at an angle. 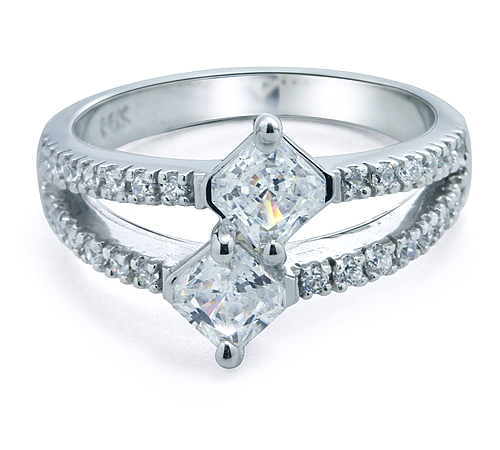 A delicate split shank is enhanced with micro pave set round cz half way down both sides of the ring to beautifully accent the asscher stones. The shank measures approximately 4mm in width at its widest point and includes approximately 2.25 carats in total carat weight. Finger sizes below a 5 or above an 8 can be made via Special Order, please see menu options for finger sizes choices. 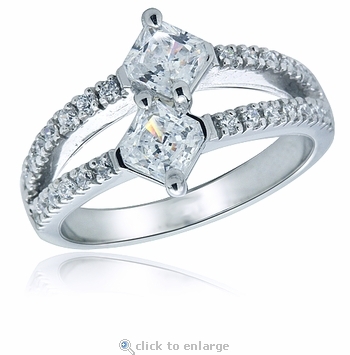 Please call 1-866-ZIAMOND for a quote on a finger size or option you do not see.